The Centers for Disease Control and Prevention (CDC) has released new guidance on the prescribing of opioids for chronic pain in an effort to combat the national prescription painkiller epidemic. The new guidelines mark the first time the CDC has made comment on these prescribing procedures and acknowledged the role of physicians in the overprescribing of opioids. The CDC guidelines state that opioids should only be prescribed for three days at the lowest possible dose and should not be used for more than seven days to manage acute or chronic pain, which is defined as pain lasting more than three months. The CDC suggests doctors first try recommending nonsteroidal anti-inflammatory drugs such as ibuprofen and aspirin to patients experiencing pain from chronic conditions like migraines and arthritis. Past guidance in the medical community encouraged doctors to alleviate pain through whatever means necessary, and this message was further bolstered through the marketing efforts of prescription drug companies. Since 1999, primary care doctors have been linked to nearly half of prescription overdose deaths, and more than 165,000 people have died of painkiller-related abuse. And the problem has only escalated as more doctors have turned to opiates as the answer to treating all types of pain. In 2013, 1.9 million people abused or were dependent on prescription painkillers. Many patients who abuse opioids such as Vicodin and Oxycontin often turn to heroin as a cheaper alternative when they do not have access to a prescription, making them highly susceptible to overdose and other diseases. The CDC ultimately hopes the new guidelines will make physicians aware of the seriousness of prescribing opiates to patients who may benefit more from other treatment. CDC Director Thomas Frieden believes the new guidelines will make doctors think twice before prescribing opiates for pain because the risks of prescribing opiates often exceed the benefits. When developing the new guidelines, the CDC looked to previous literature citing the use of opioids in the management of pain and found that 26 percent of patients using prescription painkillers became dependent on the drugs. Because the risks of overprescribing opiates are death and addiction, Frieden wants doctors take the new guidelines seriously and states that doctors should be educated on the risks when they do prescribe opiates to patients. The guidelines call for patients to undergo urine testing before opioids are prescribed to them so opioid levels may be detected in patients who could be doctor shopping or not taking the drugs at all and turning a profit by selling them illegally. Although the new guidelines are aimed at educating doctors — specifically primary care physicians — on the dangers of overprescribing opioids, patients also play a part in curbing abuse. Patients can reduce their risks of addiction by asking questions and becoming educated on proper opiate usage. Deborah Dowell, a senior medical adviser for the CDC's National Center for Injury Prevention and Control, encourages patients who are prescribed opiates to ask their doctors why an opiate is being prescribed and ask about the length of treatment. If opiates are ultimately prescribed, doctors should check in with patients every three months to make sure the benefits of the opiates are still outweighing the risks. If doctors suspect a patient is abusing his/her prescription, the guidelines suggest buprenorphine or methadone — drugs used to treat narcotic painkiller addiction — may be prescribed in order to combat the risk of overdose. While the suggested guidelines do not apply to cancer patients and those receiving end-of-life care, some doctors and medical associations are worried the new guidelines could make it harder for these patients to gain a prescription to opioids. The American Medical Association pointed out that the guidelines may conflict with state laws, but any state laws on prescriptions will take precedence over the guidelines since they are not legally binding. Nonetheless, the CDC hopes doctors will take the guidelines seriously, and insurers Aetna and Cigna have also taken note, although it is yet undetermined how coverage of opioids will be affected. However, the Food and Drug Administration (FDA) has been quick to respond to the new guidelines. 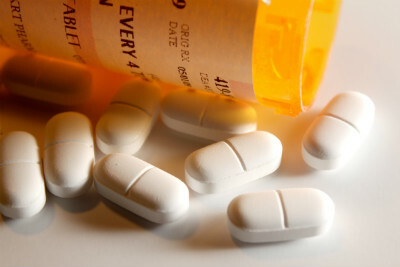 On March 22, the FDA announced that all opioid painkillers will now be required to come with a "black box" warning that informs the patient of the risk factors of addiction and overdose. When a patient picks up an opioid prescription at the pharmacy, a label on the prescription will indicate that the drug carries a black box warning, and the patient will then need to go to the manufacturer's website to read about the risks. Pharmacists are also being encouraged to give out medication guides to patients receiving opioids prescriptions that will further explain the correct usage and risk factors. The FDA has already placed warnings on extended-release opioids, which were initially believed to be the most widely abused. As opioid overdose deaths have continued to rise, the FDA made the decision to expand the warning to all opioid painkillers. Some think these decisions has come far too late. Sen. Edward Markey, D-Massachusetts, is among the critics have chastised the FDA for taking years to acknowledge the seriousness of the prescription painkiller epidemic. But in order for the new warning labels and guidelines to be effective in curbing abuse, Bill Soller, president of Biomedical Regulatory Consulting in Houston, emphasizes that physicians will need to better educate their patients and should monitor their opioid use.